More Lightbulb Moments Than Ever Before! 20 years ago I started my youth ministry career as a 19 year-old naive Youth Pastor at a church plant that was crazy enough to risk on a young man who was only two years into his relationship with Jesus. One of the primary reasons I was drawn to this thing we call youth ministry was the light bulb moments in the lives of others. I love that moment when you truly see someone else get it! Or that time when he finally understood that tripping the girls isn’t the best form of flirtation! 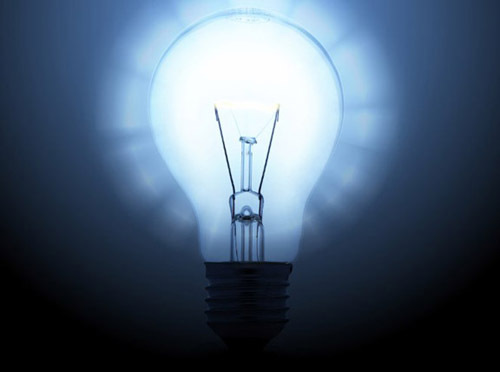 Light bulb moments are what drew me into youth ministry and light bulb moments are what keep me on the path! For the last two years I have volunteered on the college-ministry team at my church. Like most non-college towns (we are 30-45 minutes away from any major college/university) we struggle to keep a critical mass of students. In many ways I would say that we have been in maintenance-mode, faithfully serving those who have come and gone, but if I’m being honest, I’ve been waiting to see the light bulbs! EVERYTHING has changed in the last six weeks! Six weeks ago we shut down what we were doing and invited students to own and operate the ministry with us (adult leaders). We became a ministry that I coined “Student Led, Adult Mentored Ministry.” (I wrote about SLAMM here). Six weeks ago we (mentors) took the students out for an activity to help them understand the root of influence. Five weeks ago we prayed, plotted and planned together. Four weeks ago the first student led our Sunday morning time. Three weeks ago that same student led. Two weeks ago another young man led, just as he did yesterday. Next week a brand new student will lead! Through each of these four weeks the person leading, on his own initiative, has sought the mentoring of one of us leaders. Through each of the six weeks the gal doing the administrative aspects has been consistently seeking wisdom from her adult mentor. My favorite mental picture from yesterday was the moment when Gaelan (the young man leading our time) asked us all to turn to a passage of Scripture. Almost all of us in the room immediately turned to the passage (just as we did last week), but three of the gals to my right are international students who have just recently started attending the group. And just like last week they didn’t know where to find the specific book in the Bible (after our gathering last week I mentioned this in private to Christine, one of our college gals). Sure enough, this week, Christine noticed, got out of her seat and helped the gals get to the passage and then remained with them the rest of the gathering! Relationship started! I witnessed the light bulb moment in Christine’s life. I know it is a small thing, perhaps a silly thing in your mind, but it was one of those light bulbs that keep my student ministry path lit! Peer-to-peer ministry works. Let’s trust. Let’s mentor and let’s watch the Holy Spirit work in and through these wonderful ministers!